Helps beginners and experienced livestock owners understand the fundamentals and specifics of raising, breeding, and production of ducks as livestock or pets. 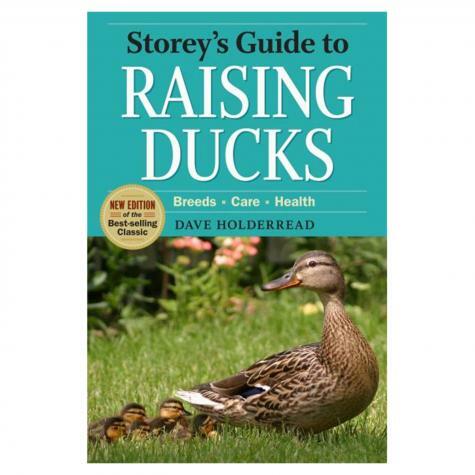 Includes information on choosing a breed, raising from duckling to full grown drake or hen, feeding, butchering, health and physical issues, and breeding your own ducks. For anyone giving thought to owning and raising a particular species, the "Storey" Guide books should be the first book to buy. Why? Because they focus on fundamentals, have many illustrations and data, are not so long that they're offputting and are written in an everyman's language for USA conditions by authors respected in their industry. Once you have a "Storey" sense of a species you can move to other books that address more specific aspects. By Dave Holderread. Softcover, 316 pp.